Join the discussion in the forum to share motivation and progress. The movie industry has provided many indispensible lessons, but among the most important is a simple truth: nothing beats the classics. After all, many of today’s best movies are remakes from those that succeeded in the past or sequels to great concepts that everyone enjoyed. The fitness industry could learn something from movies. In an age where the latest technology is favored over time-tested advice, and “get fit quick” infomercials clog our expectations with smoke and mirror sales pitches, we have a tendency to overlook the best advice simply because it’s old. As you work to give your extra 1% this year—whether that’s starting your journey to a better body or making a push to become better than ever—the first place you should look is the history books. Here are some of the best bodybuilding tips developed back in the day that today’s best fitness coaches think could use a refresh in the gym. 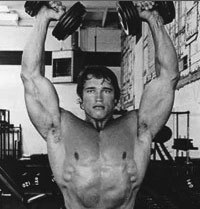 Add these to your fitness plan—including a favorite technique from Arnold—and the only thing that will be old is the body you used to have. 2) Immediately grab 90 pound dumbbells and do another 6 reps. While a little vanity is fine, training for a pump actually has benefits for your body that go beyond the “most satisfying feeling.” In a scientific sense, the pump is the vasodilation of your capillaries, says Sulaver. This means that you’re increasing blood flow to your body tissues, which helps transport the nutrients in your body more efficiently, and can improve your recovery. On a hormonal level, the pump can help increase testosterone and growth hormone naturally; this potent cocktail means more muscle and less fat. What’s more, the pump also triggers feel-good endorphins and enkephalins—nature’s painkiller. “That’s why the pump is associated with wonderful, euphoric super hero feelings of invincibility and extreme good looks,” says Sulaver. You can receive a pump in a variety of ways. Try combining heavy movements like squats and bench presses (3 to 6 reps per exercise) with bodyweight movements (think pushups and lunges) for higher reps (8 to 12). Or, you can simply keep all exercises in the 3 to 10 range (a mix of lower and higher reps), but shorten your rest periods to about 30 seconds to create the pump. Whatever your choice, training for the pump isn’t the only key to building muscle, but it does play a role in packing on size and reminding you of the work you’re putting in. In general, focusing on giving only 50 percent on anything is a formula for failure. But when it comes to lifting weights, it might be one of the best ways to improve your workouts. 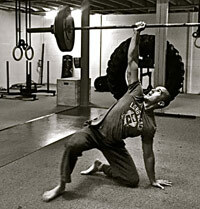 Partial reps—where you focus on a limited range of motion—can help you improve your weaknesses and add serious strength, says strength coach Jim Smith, owner of Diesel Strength & Conditioning (http://www.dieselsc.com). To start you need to determine you sticking point—the area in an exercise where you struggle and the weight doesn’t seem to move. On the bench press, this is usually the point where the bar is about 3 to 6 inches above your chest. Here’s how to make it work: Pick an isolation exercise. If you’re working your chest, you’d do a series of chest flys for 8 to 12 reps. That would exhaust your pecs. Then, follow that with a compound exercise like an incline chest press for another 8 to 12 reps. You might have to use less weight on the incline chest press, but your muscle fibers should be working more in your chest, and as an added benefit, your triceps will work harder because your tired chest require your arms to assist more with the lift, says Harski. 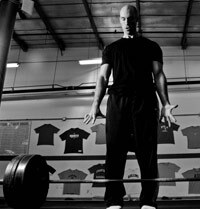 “One traditional body building method that is absolutely essential for naturally skinny guys looking to build a powerful physique is direct forearm training,” says Brad Pilon, author of Eat Stop Eat. 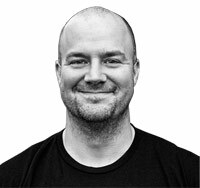 (http://bradpilon.com) Before you insert your favorite forearm joke, remember that all the bodybuilding greats—Arnold, Lee Haney, Dorian Yates, and Ronnie Coleman—had meaty, well-trained forearms. 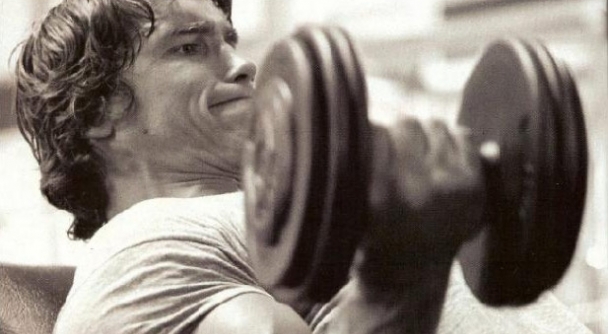 And for good reason: big forearms don’t just make you look impressive, they help you perform better too. Everything from direct arm work like biceps curls, to your presses and pulls that build a stronger, healthier body starts with your ability to grip the weight. Adding any of these techniques to your workout can help provide the spark that you need to push forward, feel better, and look the way you want. But like anything in life, too much can be a bad thing. So start with one of these techniques and give it a try for 4 to 6 weeks. Once you see progress, then try another to keep you heading in the right direction. If we all start practicing these techniques, we'll make sure that the classics of yesteryear are not only preserved--but also reestablish the foundation of success for the future. 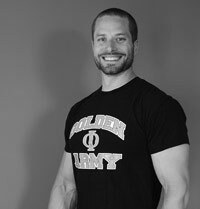 Adam Bornstein is an award-winning fitness and nutrition writer and editor. Named “one of the most influential people in health”, he uses his background as a university researcher to combine the latest in science with the techniques practiced in the trenches to provide information that anyone can use to improve their health. 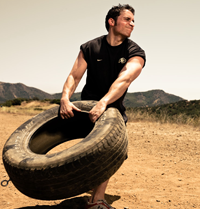 Bornstein was previously the fitness editor at Men’s Health magazine, the author of four fitness books—including the upcoming Men’s Health Big Book of Abs, and has appeared on Good Morning America, The Early Show, and E! News.